Hey everyone! 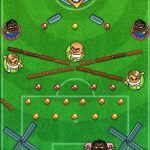 Here I have 3 great online football games that you can play right now! All 3 of them are 100% free to play and they are all fun, they are all online games. One of them is a funny football game, the other one is a reaction based football game to catch the ball as the goalie and the 3rd is a unique pinball-style football game. 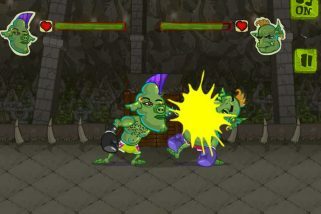 You basically have to score a goal against your opponent and you can kick or hit with your head. Check it out it’s really funny. 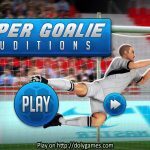 Super Goalie Auditions is a fun football game based on reactions or accurately catching the ball as the goalie. If you can’t decide which one you like most or which one you want to try then I can share with you my own preferences. I like to play Funny Soccer when I don’t have too much time or when I am stressed. It’s very short so you can win fast and be happy and because it is funny it helps you if you are stressed out. And what I like in Super Goalie Auditions is trying to beat my best scores. When I started playing this I was a horrible goalkeeper, hehehe, but the more I played the better I became. 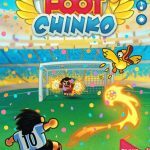 So I’d say if your time is limited go for Funny Soccer or Super Goalie Auditions and if you have a bit more time to enjoy then play the Foot Chinko. 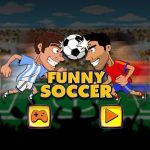 All 3 are very nice and fun football games which are online and totally free to play. Want to Add Your Ideas into Games?